The Kalank trailer is here and will make you forget blinking for two minutes. 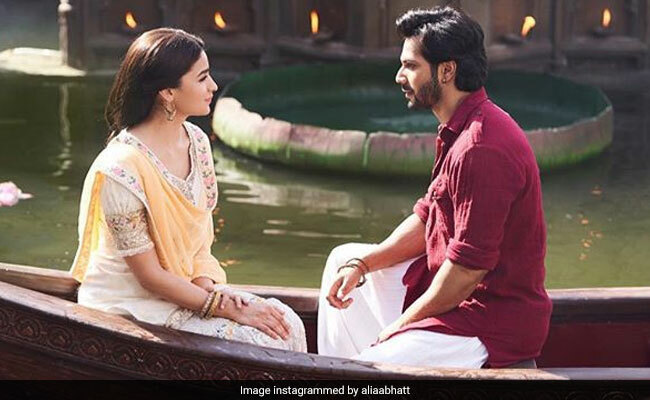 The Kalank trailer begins with a powerful moment with a confession in Alia Bhatt's voice - she plays Roop, who admits her hasty decision ruined more than just one life: "Meri gusse mein li gayi ek faisle ne... hum sabki zindagi barbaad kardi." Then begins a dangerous and destructive quest for love and lust, which engulfs Alia Bhatt (Roop), Varun Dhawan (Zafar), Aditya Roy Kapur (Dev Chaudhry) and Sonakshi Sinha (Satya). The story of Kalank begins with Roop's wedding to Dev, who is already married to Satya. Looks like Alia Bhatt just walked into a relationship in which there's respect but no love: "Iss rishte mein izzat hogi par koi pyaar nahi hoga," Dev tells his new bride Roop. A devastated Alia Bhatt realises she has nothing to lose any further and is easily wooed by Zafar, whose world is very different from Roop's social positioning. As a romance begins to blossom, Roop declares she's married and Zafar's quick response is marriage is not really on his mind. Madhuri Dixit, who plays a dancer named Bahaar Begum in the period drama, predicts a possible outcome of the newfound romance: "Nazayas mohabbat ka anjam aksar tabahi hota hai." Sanjay Dutt, who features as Balraj Chaudhry, warns Zafar to stay away from Roop but "Roop ki mohabbat mera haq hai aur yeh haq mein leke rahunga," says Zafar. The trailer also has striking glimpses of communal tension, Bahaar Begum's magnificent nach sabha, Ram Navami celebrations, dance sequences and the Baahubali-like bullfight scene with Zafar. Other than the ensemble cast, Kriti Sanon, Kiara Advani and Kunal Kemmu also make surprise appearances in the trailer. Fearless and unapologetic. #Kalank releases 17th April 2019. Karan Johar conceptualised the film some 15 years ago and is producing it now. Kalank is all set to hit screens on April 17.